Our heavy-duty Power Sandblaster features a 6 CFM gun for fast, powerful blasting and a large front-opening door and work chamber to accommodate large or multiple parts. Holds 20 lbs. abrasive media, which is automatically recycled. 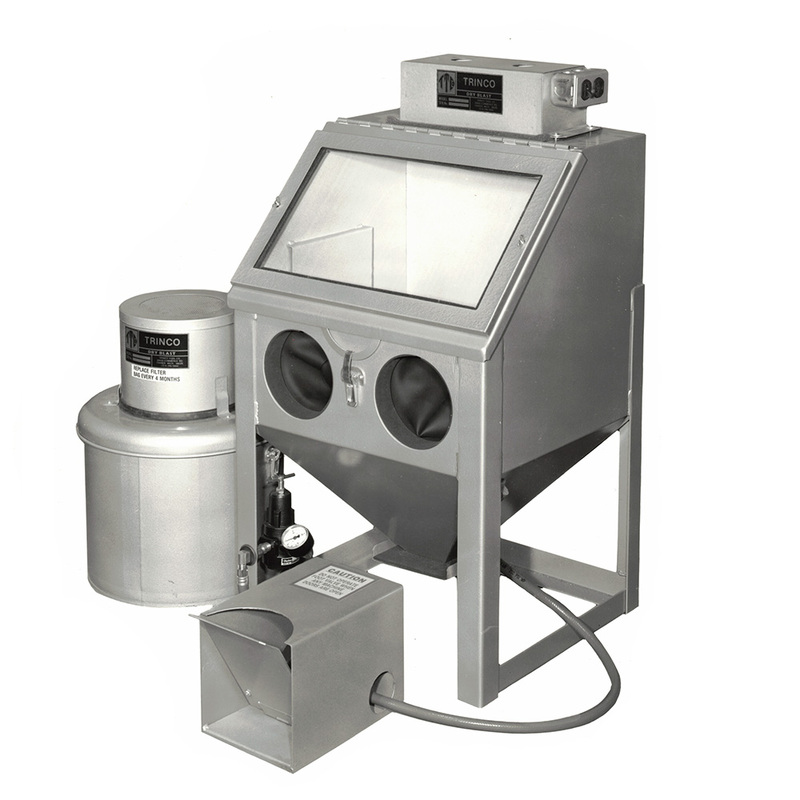 Fine dust particles are removed via a Dust Collector (included) for safe, efficient and clean operation. Dust filter is easily replaceable. Requires 1-1/2HP air compressor. The Power Sandblaster can be bench-mounted or mounted on an optional stand (shown in the second image. To order the stand see related product below Accessories & Replacement Parts, 854-0025) which raises unit to a comfortable working height. An optional Jet can be easily installed in the gun to double the blasting power to 12 CFM (requires 3 HP air compressor). For micro-blasting, an optional Pencil Gun attachment with 1/16" orifice can be added. Ship. wt: 165 lbs. 6 CFM tungsten carbide nozzle and jet. Trapdoor for easy media change. Safety foot valve blasting control. Door Opening: 20"W x 15"